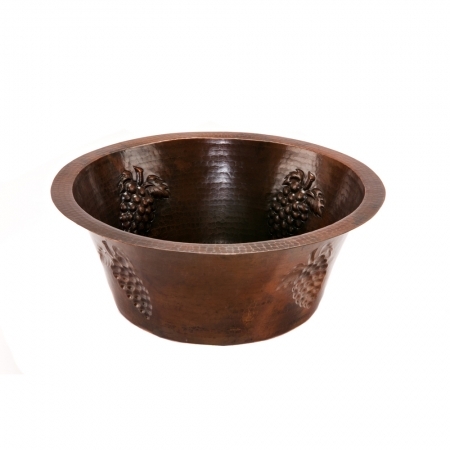 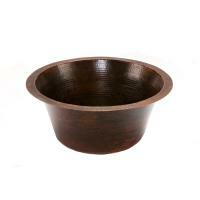 This round sink bowl features an embossed grape design that adds a decorative touch to the functionality of the piece. 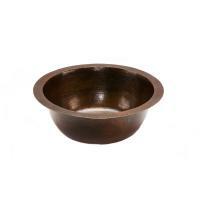 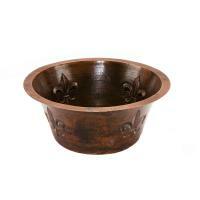 The high quality copper material will hold up well for any use and has natural anti-bacterial properties. 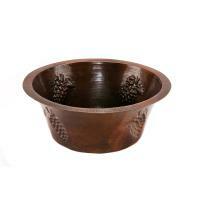 The material is easy to maintain with the use of the wax cleaner.